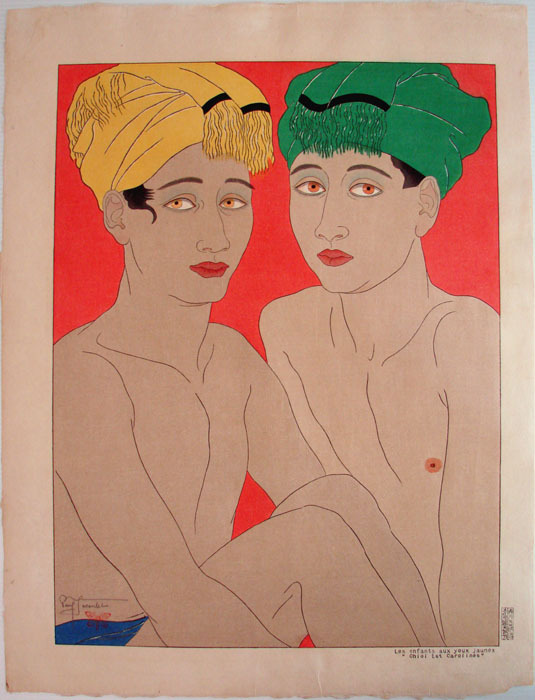 Jacoulet, Paul (1896 - 1960), "The Yellow-Eyed Boys. Ohlol, East Carolines"
18 -1/4 x 14 -1/4 "
Notes: Natural paper disturbance in upper left margin. Scarce, first state edition of this very sought after design.